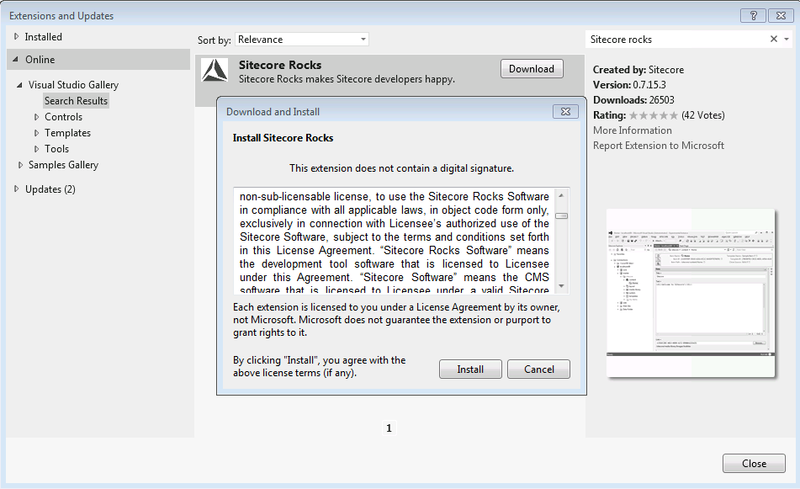 The best way to describe Sitecore Rocks is to tell you that it is the Sitecore Developer's and Administrator's Best Friend. 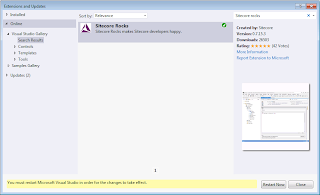 Sitecore Rocks is an extremely valuable tool both for starting a new project and for maintaining an existing projects. 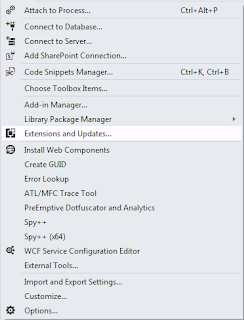 It saves you time creating a New Sitecore Installation. It saves time setting the instance up. As well, it saves you time doing some of the regular maintenance tasks such as bulk updating items, running simple item queries to look find items that a user may have misplaced. 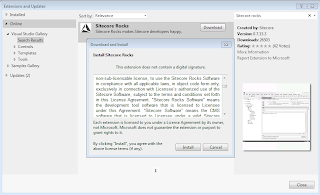 Given this tool is so valuable it only makes sense that our first article walks you through installing Sitecore Rocks on you Development Computer. If you cannot install Visual Studio in your environment or are using an Express Edition, you can still take advantage of the Sitcore Rock Windows Edition. Step 3: In the top right corner, click on the search box and type in "Sitecore Rocks". 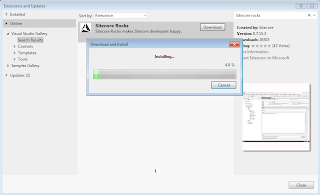 Step 4: Click on Download to download Sitecore Rocks. 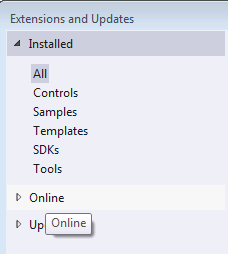 Step 5: Once Downloaded it will prompt you to Install. Click Install. 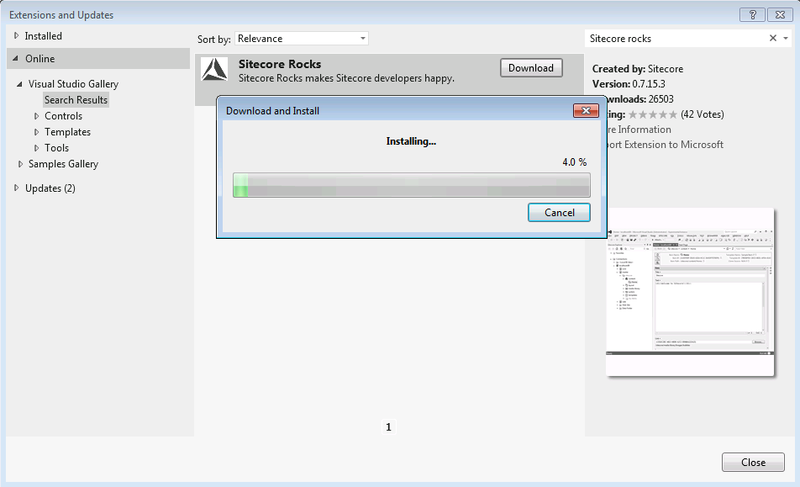 Step 6: Sitecore Rocks Will Install. 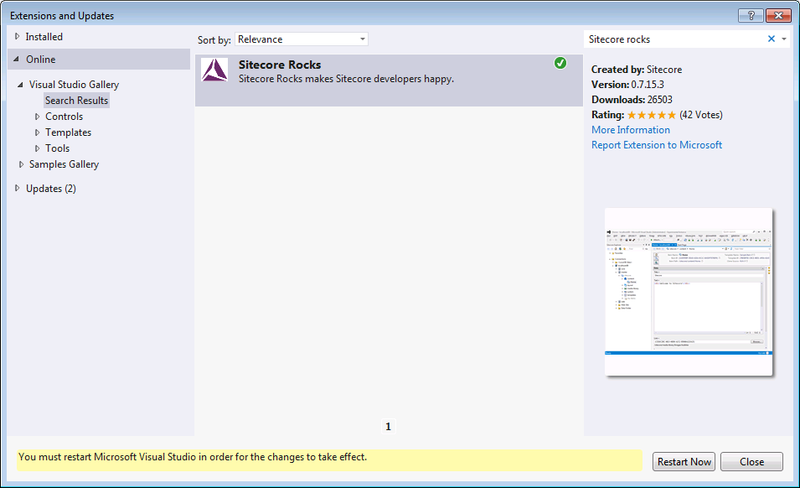 Step 8: Once Visual Studio Restarts you will see the Sitecore Rocks information on the Start Page. 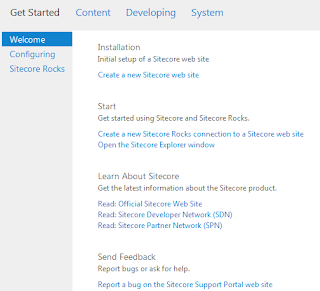 If you are creating a new Sitecore Instance, please check out the second article in the series that discusses Using Sitecore Rocks to Create a Sitecore Instance.